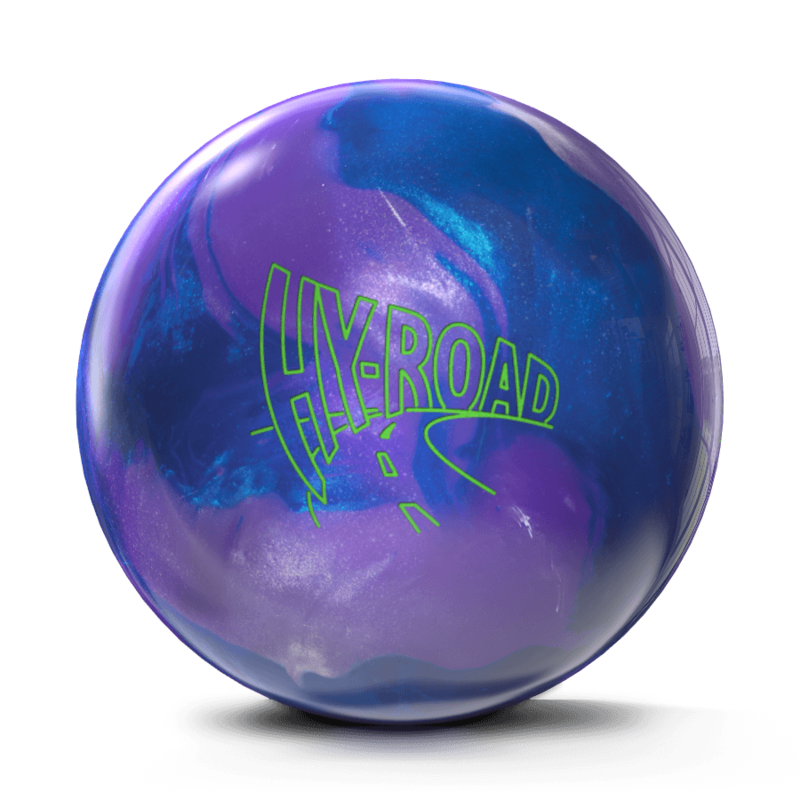 R2S is synonymous with some of the most successful balls in recent history like the Hy-Road, Frantic, and the IQ Tour. It is renowned for clearing the front part of the lane with an unprecedented movement on the backend. The consistency of this shell through the heads is something to be marveled at. Very versatile ball with the way I have mine drilled. I can get a ten pin with ease or the seven pin and anything in between. I can also use this as my strike ball if need be. Great complement to my all my Storm Balls! I bought this ball to add length to my arsenal. I was amazed by the chaos it created. I don't throw the ball nearly as fast/hard as I used to (as age does to most of us). This ball hits the pocket with tremendous authority. It clears the pattern and turns to the pocket with ease. It has given me an ability to create pin action that I haven't seen in years. I have never been as pleased with a ball as I am with this one. The forgiveness through the pattern combined with crushing action on the back end is everything I could have asked for. This is my new "go-to" ball in the bag. I love the ball the only problem with the ball is if you don't get it out far enough the ball will jump on you and you wont be able to maintain the pocket. I perfer to use the ball on heavier oil so it can burn up the oil. I went to my pro shop and asked what they think was a good ball for me, it came down to two balls and I picked the Hyroad Pearl from Storm . Had to work with it for awhile cause I was used to a Falbal purple Hammer, within two weeks I was using a cross over walk pattern to the left and rolling right to have an 221 average for 2017 league year, so Happy with the ball. I had control of my bag with the original Hyroad as my anchor. I added the Defiant Soul, for a little more edge and the mission Unknowm for a stronger cover stock on the front end. These worked until I began increasing my Rev rate, rotating my delivery to the side of the ball instead of straight up the back. I found on medium to heavy oil Both of these balls were finishing too strong with my new release (also dropped from16 to 15#s) and my accuracy needed to increase. In preparation for the new season, I am happy with the replacement of my old damaged (16#) Hyroad with the Hyroad pearl (15#) While it has strong back end for the tweeter, it still allows me to play an outside shot by controlling speed and angle of release. I feel like I have my anchor back. I'm 60 fit and looking to maintain 200+ again! On two outings, the difference has shown itself in leaving one pin spares instead of splits from a ball that overpowers the pocket, leaving splits or difficult washouts. My speed and angle error tolerance has increased, while still improving the pinfall, if a second ball is needed. I bought a hy road Pearl last year and my average has gone up ten points. I have a 665 series, a 279 and 262 back to back weeks in the same league. I am a 65 year old with a 185 average and I highly recommend this ball. Thanks for a winner Storm. This is one helluva ball. I just had my harp drilled pin up the pin is above and right in between my bowling fingers with the Christ in my palm. I am a senior bowler with a 180 average. Today was the first day of using my pearl and I bowled a 588 games of 206-200-182. Like I said this is my first day straight out of the box. The next time I use it I will be better prepared for it and I know that my scores will be higher. Thanks Storm for making such a wonderful ball and I will be bowling more now that I have one. This ball is absolutely amazing. Just a good as the Original Hy-road. This ball allows me to throw to the far right (deep) and once it exits the pattern it always finds the pocket like a magnet. This ball is great when I need a ball that can clear the front part of lane with ease and will continue with loads of backend motion towards the pocket with power . I always keep the Hy-road Pearl and the the Original Hy-road on hand. Thank you Storm for making this ball.